Our success is measured by our clients success! A.S. 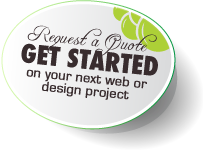 Designs & Services has been offering web services to small and large businesses in Hawaii and the mainland since 2001. We back our products with friendly customer service and our mission is to help our clients leverage the power of the Internet to grow their businesses. A.S. Designs & Services is a Hawaii Web Design and Services company that helps businesses succeed on the web through a combination of technology, creativity, and innovation. Our web services cover every aspect of building and operating an effective online presence – from professional web development and design, results-oriented online advertising solutions, to powerful web hosting and eCommerce applications. Over the years we’ve earned our customer’s loyalty by ensuring that our clients not only get on the web, but thrive on the web. In this internet era, having a website to promote your products and services is necessary for growing and expanding your business. AS Designs & Services, LLC run by owner, Ian Hatch, is a cool Hilo-based web development and graphic design firm. Ian, who trained in the late 1990s in graphic design, graphic arts, multimedia and web design, has been running AS Designs & Services since 2002 and is an experienced manager. He stays up to date with the latest trends, techniques and software and loves passing his knowledge along. 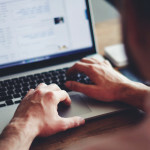 From a service standpoint, he makes sure clients get the most out of their advertising budget as well as maximum benefit from their web presence or online marketing campaign. “I like that every project is different and I appreciate the chance to learn about each business or individual during the process,” he says. Designing for businesses and building websites can be challenging. For one thing, people do not realize the importance of a quality brand, company identity, and descriptions, particularly as they relate to keyword research and search engine optimization (SEO). These affect your page ranking. 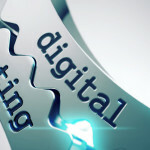 Shaping a marketing plan based on web traffic statistics and analytics is also key, but something people tend to ignore. That is why Ian provides both design and web development service.